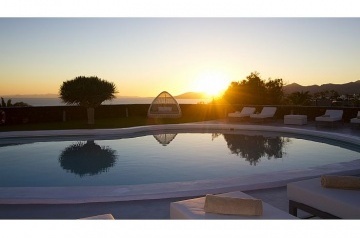 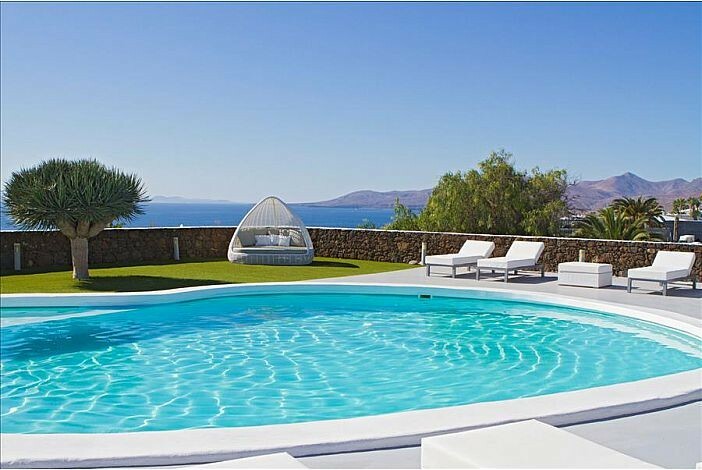 Fully air conditioned Idyllically situated enjoying outstanding panoramic sea and mountain views, this spectacular villa offers a welcoming atmosphere for a special holiday. 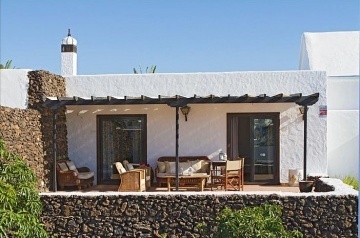 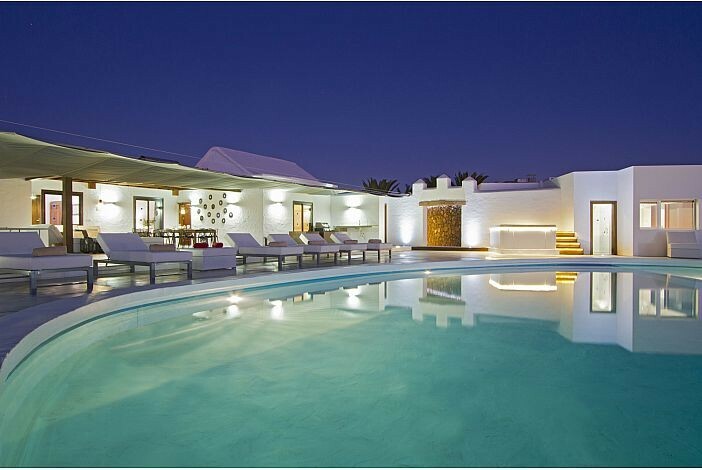 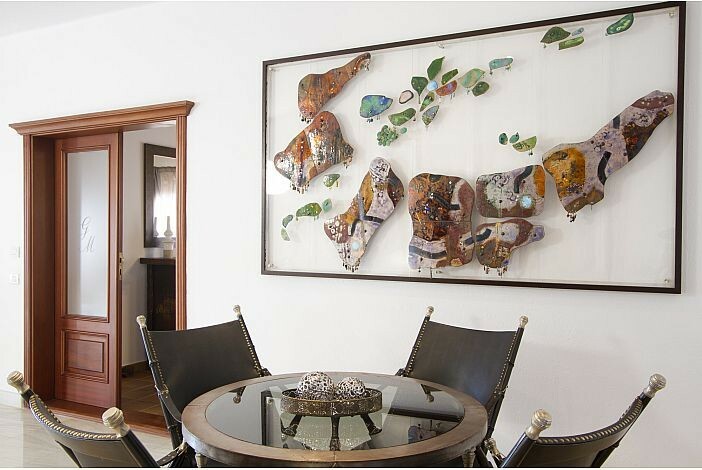 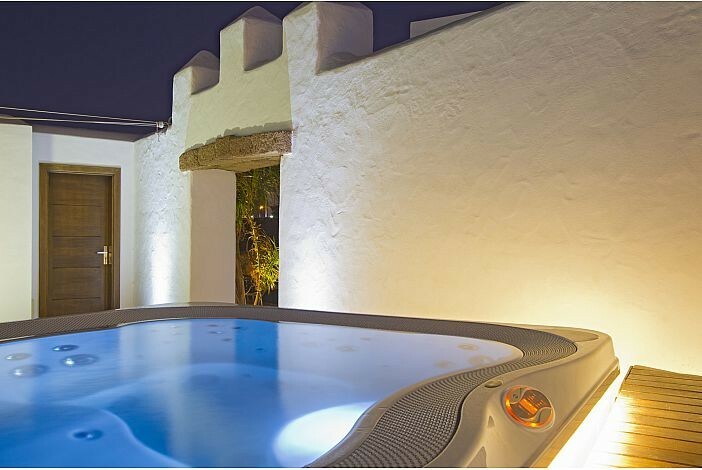 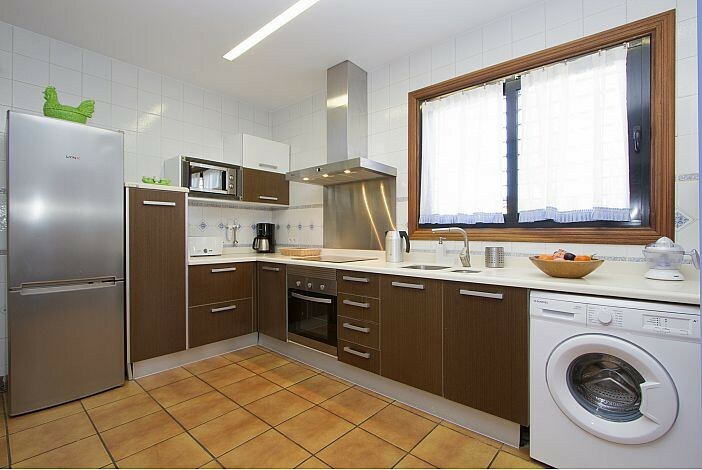 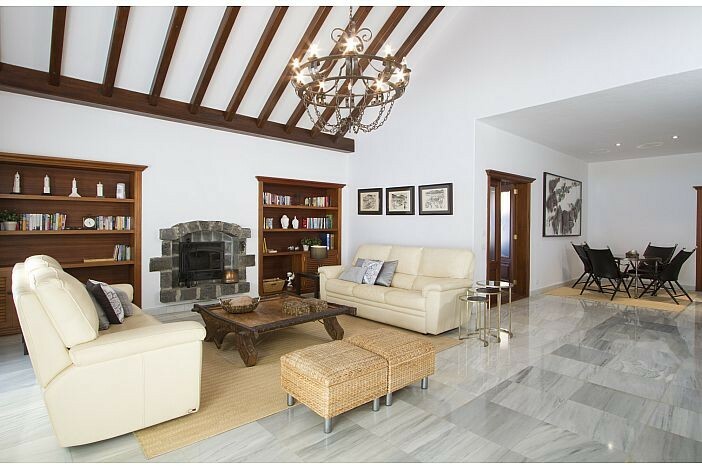 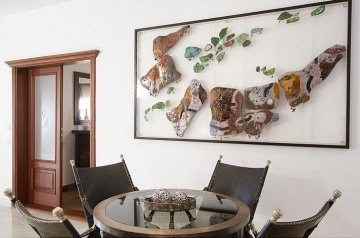 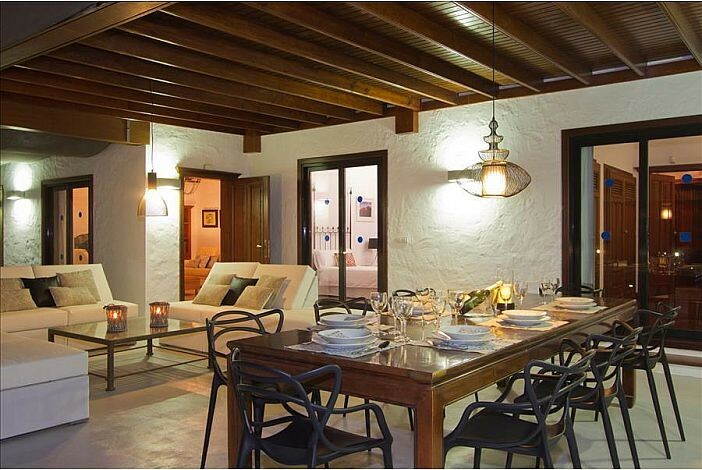 Extensively refurbished in 2010 with comfort and style in mind the villa is truly unique, retaining its traditional Canarian character whilst offering all modern conveniences. 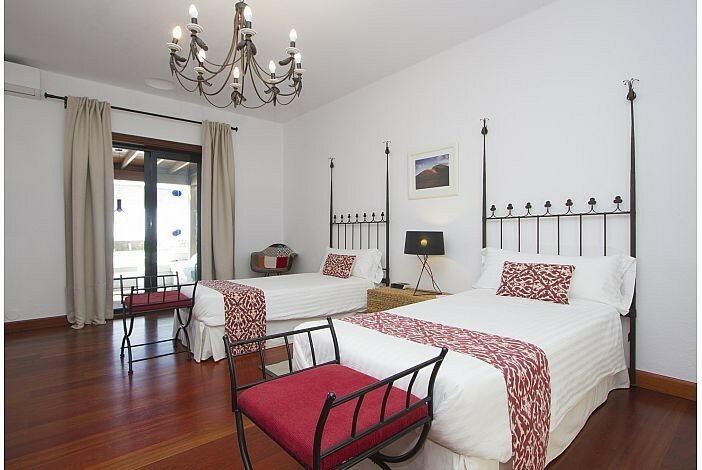 The contrasting rooms overlook extensive sun terraces and gardens providing privacy for relaxation and sun bathing, perfect for enjoying barbecues and al fresco dining. 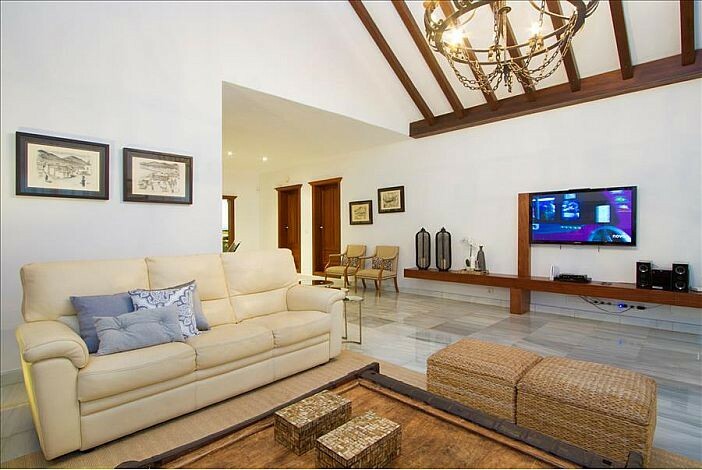 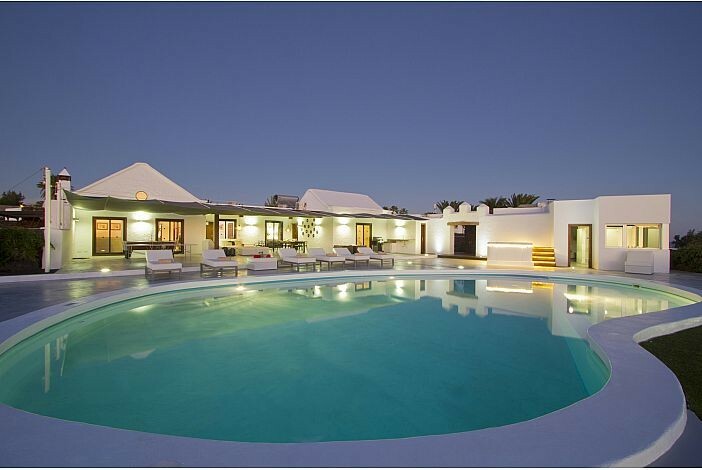 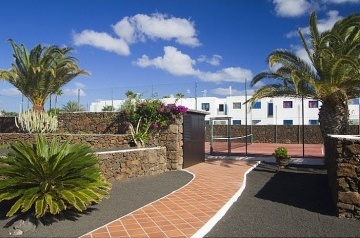 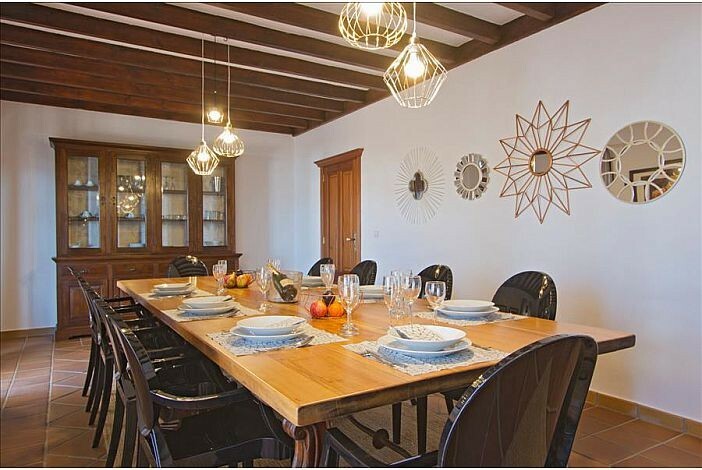 Very spacious and stylishly furnished, the villa has something to offer everyone and is ideal for families, groups or couples. 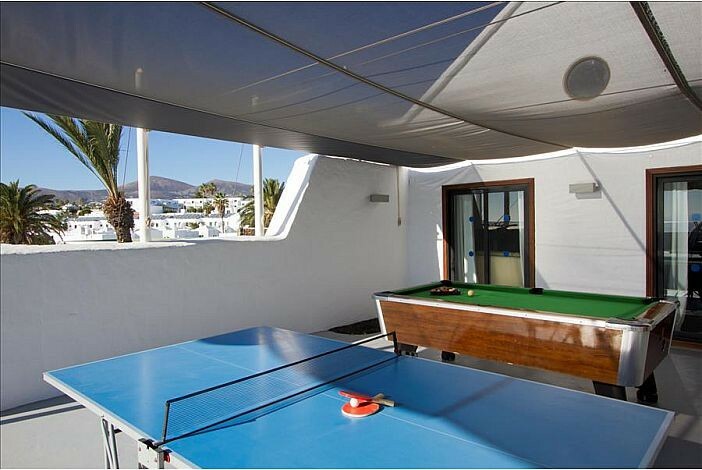 The varied facilities include table tennis, pool table, full size tennis court, sauna, gym and jacuzzi all of which are exclusive to villa guests. 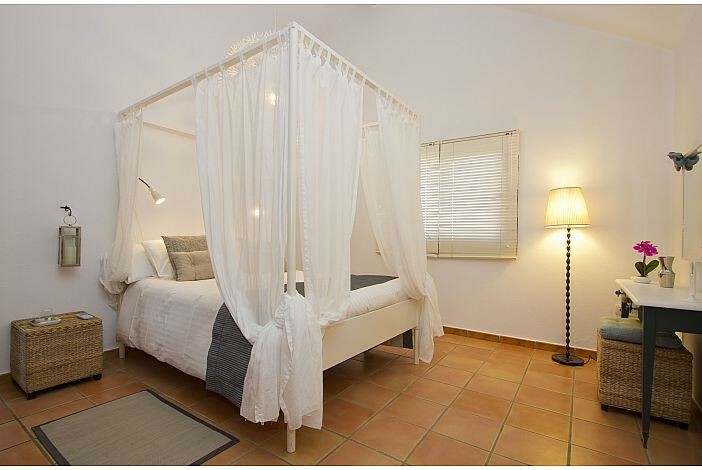 An enchanting hideaway for a peaceful holiday in the sun with everything close at hand, and only 10 minutes walk from the beach and many restaurants. 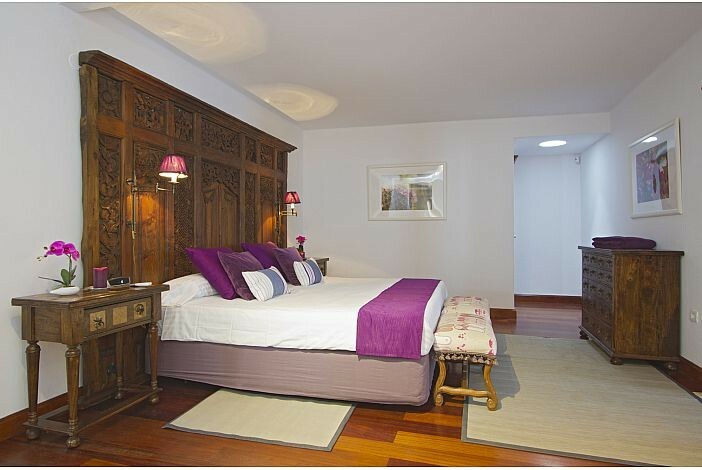 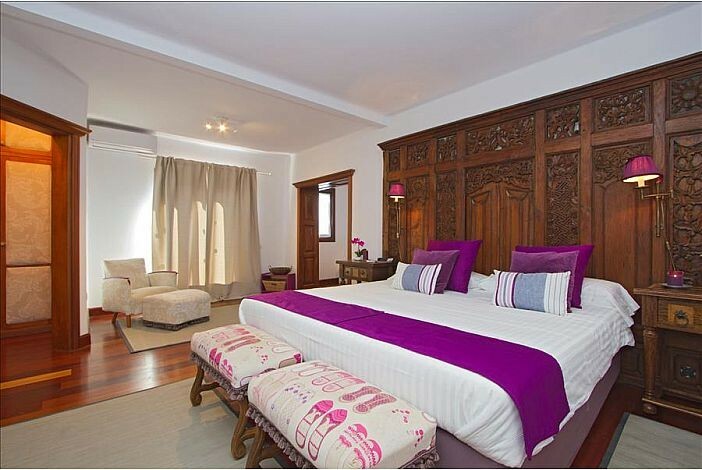 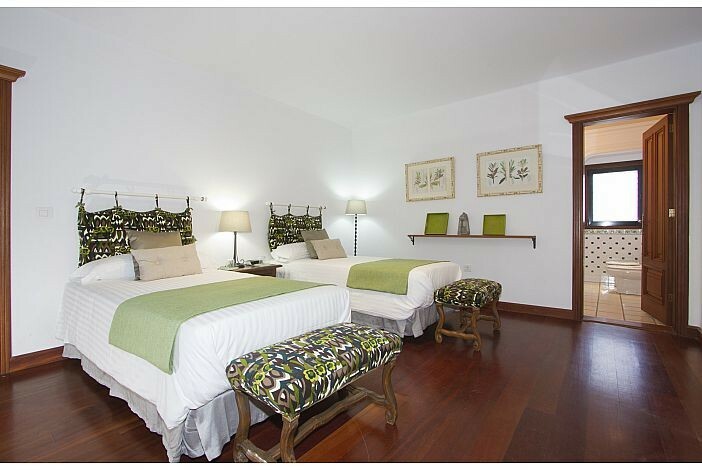 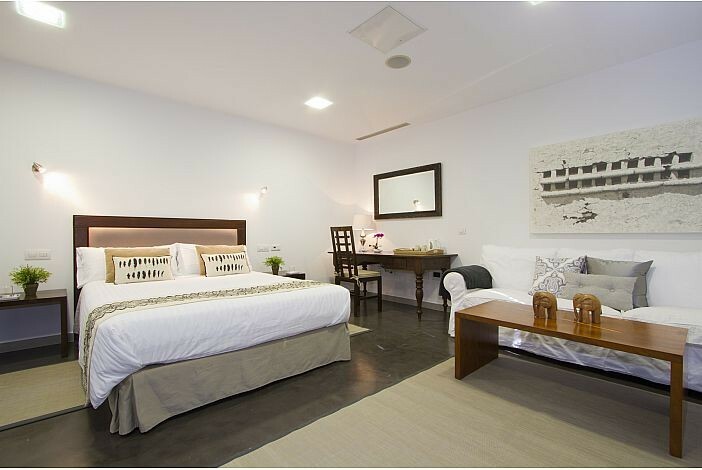 Bedroom 5 The suite is detached from the main house and has been completely refurbished in a contemporary design. 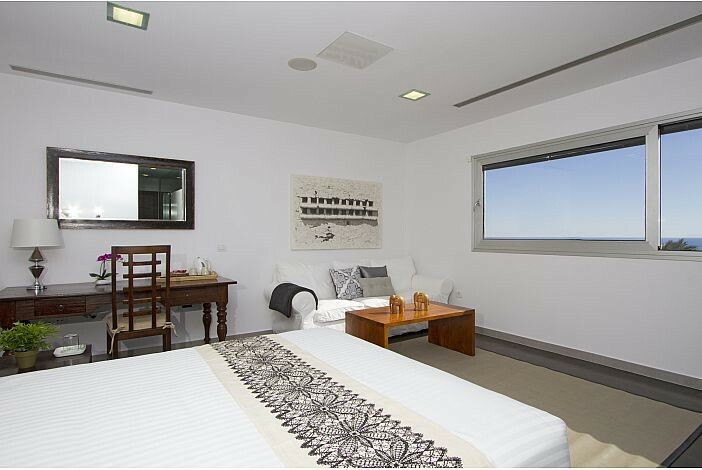 A picture window with electric blinds dominates the south side of the room affording spectacular views across the Atlantic from both the double bedroom and bathroom. 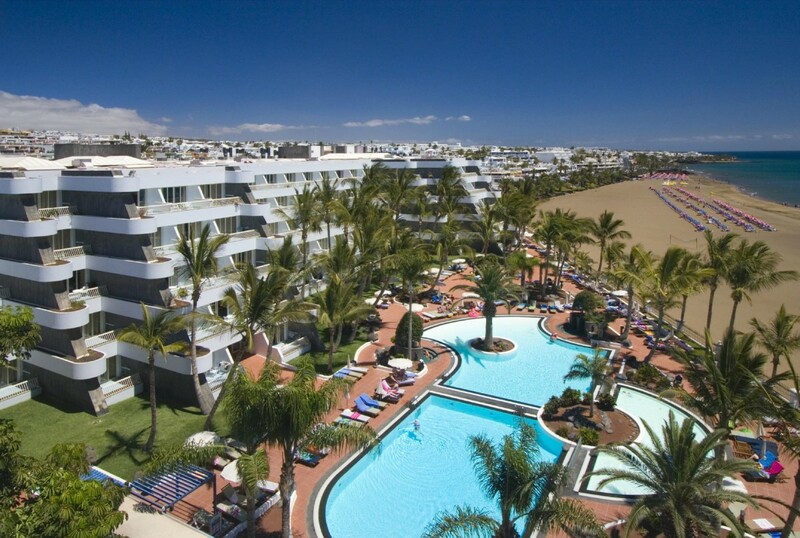 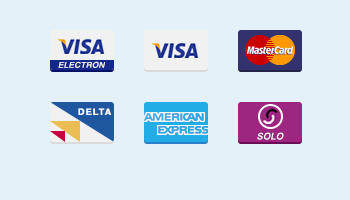 The bedroom has fitted wardrobes, flat screen TV (limited satellite channels), music system and air conditioning. 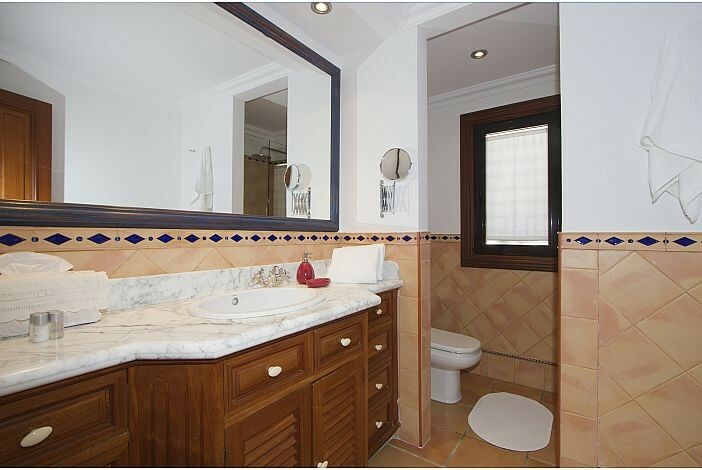 Family bathroom; shower, WC &amp; washbasin. 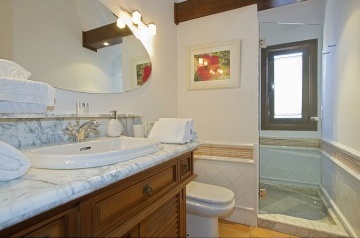 Bedroom 3 en suite; bath/shower, WC and washbasin. Master bedroom en suite; twin hand basins, WC &amp; wet room. 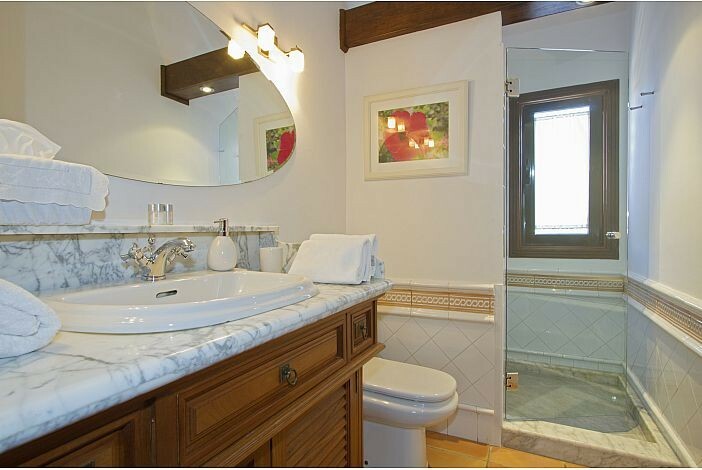 Double bedroom en suite; bath/shower WC &amp; hand basin The Suite bathroom; win wash basins, toilet, bidet and a raised jacuzzi allowing you to enjoy the views over the pool area and sea beyond while relaxing. The extensive sun terraces are bordered by attractively planted gardens and are comfortably furnished with sun loungers and &apos;chill out&apos; sofas; a built in barbecue, wooden table and chairs below a covered wooden pergola make a delightful al fresco dining area.